held in alliance with the EDS consortium in Ghent and medical professionals internationally. 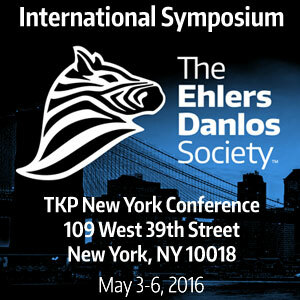 The primary goal is to reclassify the diagnostic criteria for all the types of Ehlers-Danlos syndrome, bringing together the leading physicians and researchers for 3 days of high-level thought leadership and networking opportunities. With attendance at capacity of 200 attendees, the International Symposium is the event within the EDS community to do a year’s worth of business in three days.